For more than three decades, we have been creating and supplying small molecules, biochemicals, assay kits, antibodies, and proteins to scientists around the world. Each product is backed by a staff of customer service and technical support specialists who are available by phone, email, and fax. Our support staff is in turn backed by our community of more than 100 in-house scientists. How can we help you make your next discovery? We offer primary and secondary antibodies for diverse applications, including western blot, flow cytometry, immunohistochemistry, and immunofluorescence. Our antibodies are validated on biological tissues and cell lysates to ensure they will be reliable tools for your research. We provide target receptors, proteins, enzymes, and post-translational modifications for eicosanoid, neuroscience, immunology, inflammation, cancer, and epigenetic research. Secondary antibodies are available with HRP, AP, fluorescein, rhodamine, phycoerythrin, APC, europium, biotin, Texas red, and more. Custom production, purification, and conjugation services and bulk antibody orders are available upon your request. With hundreds of assay kits in a variety of formats to choose from, Cayman offers complete solutions to quickly monitor biomarkers, assess cellular health, and measure enzyme activity/inhibition. Each of our assay kits undergoes rigorous quality testing to certify high precision and accuracy to deliver the sensitivity and specificity needed to detect biologically significant analyte levels. 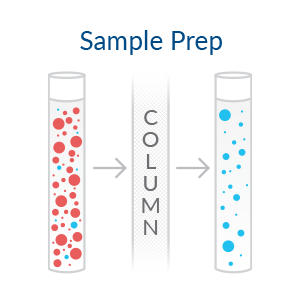 See all assay kits Explore kit recommendations Tools for sample preparation Why Cayman assays? Cayman’s cell-based assays provide fully detailed and tested protocols as well as all necessary reagents, including positive or negative controls (where applicable). 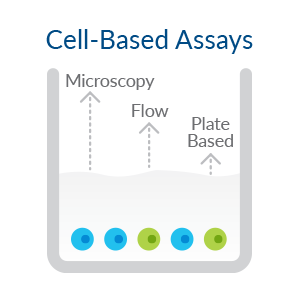 Many of these assays are formatted to a cell culture system that is compatible with flow cytometry. A subset of reporter assays contains ready-to-use, pre-transfected reporter cells to quantify the functional activity of compounds against key nuclear receptors. Our reverse transfection technology allows screening for modulators of a number of different receptors and enzymes. 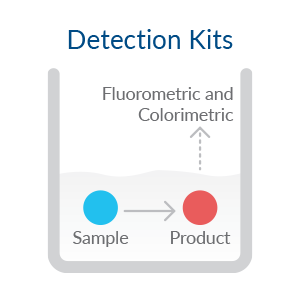 Cayman’s detection kits bundle together all of the components needed to provide either colorimetric or fluorometric readouts to measure key biomolecules or by-products of their activity by plate-based methods or through immunoblot analysis. These kits serve as highly sensitive indicators, selectively targeting normal biology or disease biomarkers in whole cells, biological fluids, or tissues. 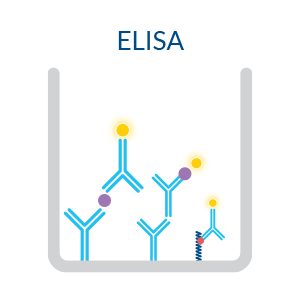 Cayman’s ELISAs deliver highly sensitive, non-radioactive methods to target analytes in cell cultures and biological matrices by using either competitive, immunometric (i.e., sandwich), or dsDNA sequence-bound approaches. Competitive ELISAs and transcription factor binding assays are optimized for use with either acetylcholinesterase (AChE), alkaline phosphatase (AP), or horseradish peroxidase (HRP)-conjugated streptavidin tracers. 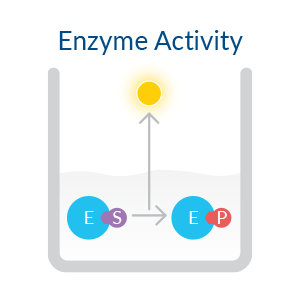 Cayman’s enzyme activity assays comprise the necessary substrates and indicators needed to drive a specific enzymatic reaction and monitor its rate of activity. As an added convenience, these kits typically include a control compound (e.g., a selective enzyme inhibitor) for distinguishing specific enzyme activity from background signals. 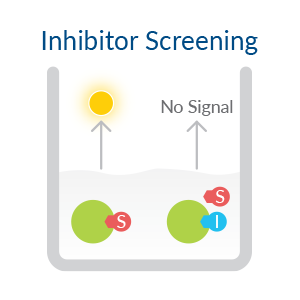 Cayman’s inhibitor screening assays supply the components needed to obtain a quantitative readout of enzyme activity that can be applied to the identification of small molecule inhibitors from chemical libraries. TR-FRET assay formats are suited to the rapid characterization of ligands for SAR studies of epigenetic compounds in a high-throughput format. Cayman’s sample preparation kits and tools supply the reagents needed to optimize and prepare samples for assay analysis. Sixty staff chemists synthesize, purify, and characterize the small molecules and biochemicals you need to take your research further, including drug-like heterocycles, complex biolipids and fatty acids, inhibitors, activators, and modulators. Search by CAS number, common name, synonyms, InCHI Code, InCHI key, SMILES, or molecular weight, or explore by research area to find what you need. Bulk pricing, custom aliquots, and exact weights are available upon your request. Not finding what you're looking for? Contact our custom organic service staff for affordable pricing on the synthesis of your custom molecule. For everywhere your research leads, we provide a catalog of hundreds of recombinant proteins expressed and purified from bacterial, insect, and mammalian expression systems. We clone, express, and purify proteins and active enzymes at our facility in Ann Arbor, Michigan. Your research requires consistency, so our scientific staff thoroughly tests activity and quality to ensure low variability from lot to lot. Bulk proteins are available upon your request. Molecular chaperones in control of the heat shock response, including cytoplasmic, organellar, and misc.